Writing a party invitation is an art. There are important details that should not be skipped when preparing an invite. Most party planners and coordinators will agree that once you get the hang of it writing an invite is easier than expected. It just takes some practice and tips from the pros to be in the know how. Here's all of the information you will want to include on your next party invitation. By including all of the facts about your party, guests will have an easier time deciding whether or not they can make the event, and get to the right place at the right time. 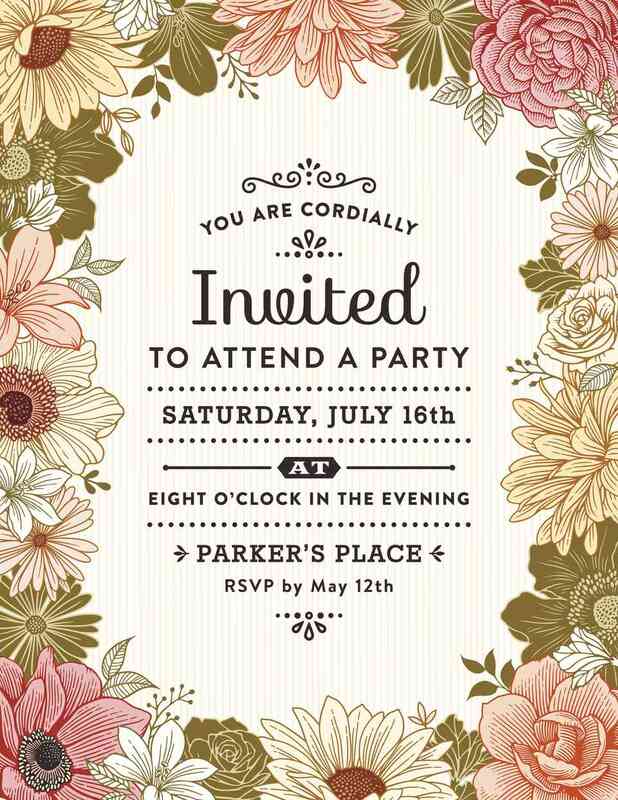 Preparing an invite correctly might seem specific, but the party invitation wording can be crucial in guests attendance. Knowing if a guest will be able to attend the party ends up being a huge help to the host in preparing. Understanding the number of guests in attendance assists in estimating the amount of food and drink to have on hand, as well as seating arrangement details, gift bags and more depending on the occasion. Feel free to be creative as you want with the design and copy of the invitation but make no mistake some facts must be present on each invitation to garner a positive and helpful response. Follow the instructions below for an easy to follow how-to on writing party invitations. The first thing you should put on your invitation are the names of the party hosts or sponsoring organization. It's decidedly confusing to receive an invite without knowing the source of the gathering. If you are sending an email invite guests might not even open without the name of the host in the subject line. The next item you should write on your invitation is the place where the event will be held. If your guests aren't familiar with the party location, then include directions in the envelope with the invitation. We know everyone has Google maps on their phone, but it's a very nice gesture to add a map for those unfamiliar with the location. Write the date of your party, including the date and day of the week. Your invitation also needs to tell your guests what time to arrive and approximate or definite length of your party if there will be a specific end time. You'll want to ask your guests to RSVP to your event, to let you know if they will be attending. Give them a date by which you'll need a response. Also, include with your invitation information telling them how to RSVP. This might be a phone number, email address, or response card. If there will be a question regarding how guests should dress for your party, then you must be sure to let them know. Is it a black tie party? Should they come in dressy business attire? Are bathing suits the only garments necessary? Provide a rain date if you're planning a party outdoors and don't have an indoor backup plan in case of bad weather. Be specific about who is invited, whether addressee only, with guest, or with spouse and children. Always send written invitations for formal events such as business gatherings, formal dinners, and special occasions like showers, weddings or events honoring someone. If guests are not from your local area, then include a map to the location of your event. Send invitations anywhere from 8-2 weeks in advance depending on the formality of the occasion. Weddings require the longest lead-time; casual dinners and brunches require the least. The Best Way to Meet your Neighbors: A Block Party!